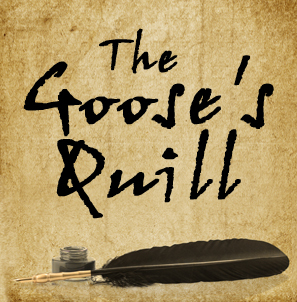 The Goose's Quill | One writer's journey toward publishing while parenting. All new content will appear on my blog website, so be sure to come on over and check it out! Okay, so normally I would not get excited about getting 2 feet of snow. My back can’t take all the shoveling, I hate the cold, and I’d worry a lot about losing power. But so far, this hasn’t been a bad winter, so I actually got a little excited about the prospect of a big blizzard. The main reason is because my 5-year-old daughter is the perfect age to enjoy a snow of epic proportions. Being only 42 inches tall herself, 24 inches would be more than half her height. She would have a blast playing in it. Although she herself said to me, “But I would need a grown-up with me, in case I got stuck.” I looked forward to her reaction. Another reason is that 2 feet of snow would have almost certainly kept my husband home from work, so we could have traded off time playing with Preschooler while the other one got some work done. After all, with Preschooler home from school I don’t have my normal two hours to work. And I enjoy the quiet that comes after a big storm. No one on the road, few people walking. And of course, if you do lose power, it gets REALLY quiet. I’m not a fan of that type of quiet, though. But a certain peace settles over the world, and you cuddle up with your family and enjoy a day removed from the normal hubbub of modern life. We got about 3 inches. Which, as it turns out, was okay, because my daughter is sick and wouldn’t have enjoyed it anyway. Having discussed before how I still love the thought of snow days, I will admit to mixed feelings about avoiding this winter storm. My inner child might be pouting, but my adult common sense thanks the weather gods for the reprieve. How did you fare in the blizzard? Are you happy or disappointed? Last week I completed my first draft of my YA science fiction novel Veritas. Yes, I still have a long way to go before it’s ready to be seen by publishing professionals, but I still got as excited as a kid in a toy shop! Because even though it’s only 70,000 words and I know I have a lot of world-building to add and a lot of revision to do, it is finished. As in, there is a story with a beginning, middle, and end. Character arcs exist. Plot arcs exist. It hangs together as a whole. And finishing any creative act is always something to celebrate—because a very large portion of people who start creative projects never finish. So that’s one reason I am celebrating. Another is that I actually prefer the revision phase to the drafting stage. Some writers are the opposite. But I like having something to work with, something to mold. As a video editor, the most painful part of any project was finding the music and visuals needed. Once I had them, I flew! It’s the same with my writing. Whatever’s there, no matter how bad, can be worked with. I can polish, demolish, rebuild, whatever. And I can see what story I actually ended up telling—because it’s not always the one I set out to tell in the beginning. So I can see the whole picture and weave all the details into a tight mesh. The last reason is something of a personal milestone. This is the very first novel I have written from idea to finished draft since my daughter was born 5 years ago. All the other novels I’ve worked on in that time, I had first drafts completed before her birth, and spent the ensuing years editing and polishing. I had no idea how long it would take me to write a complete first draft from scratch. In this case, it was just shy of nine months. It would have been shorter except that I do have a book with a publisher and I had to stop several times to do edits for that book in that timeframe. But now I know approximately how long it takes me to write a book with my daughter around (it will go faster once she’s in school full time), and more importantly, I know I can still finish! I spent a significant portion of the last few years in a creative wasteland, so just getting the idea for Veritas was huge. To actually finish it? Do you get giddy when you finish your first drafts? How do you celebrate/reward yourself? I wrote this post before the attack on Charlie Hedbo. In light of the events in Paris, I think reflecting on the deeper purpose of writing is more relevant than ever. Topic #1: A writer friend lamented that many writers’ conferences seemed to feature marketing over craft these days. Personally, I feel that this will rectify itself after this wave of writers who were unfamiliar with marketing ages out and a new group of writers who “grew up” with marketing doesn’t need as much guidance. But there is a definite shift away not only from craft, but often from the purpose behind our writing. Topic #2: So many scary and violent and crazy things happening in the world. Sometimes I despair of the world I am leaving for my young child. My husband and I discussed the helplessness most average citizens feel, and how powerless most people feel to change things. How many people long for a hero they can rally behind. Thought: Maybe if we writers reclaim our purpose we will find that we are the heroes we have been waiting for. Every writer writes because we have something to say. In fiction, obviously, we never want to be preachy or didactic, but we all have something to say. Even those who would say they only write to entertain have a specific worldview, a specific set of values, that permeate their work even if they don’t intend it. Writers have a long history of being the voices in the wilderness—the ones who speak out against injustice or warn of dangers in the world. Thomas Paine rallied a new nation, Rachel Carson called out an industry poisoning our world, and George Orwell sounded the alarm against a dystopian future, just to name a few. We live in a world where we are increasingly unable to talk to each other. Forgetting international tensions, the ability to talk about almost any subject without it devolving into an insult-laden screaming match is a lost art in America. Both sides cannot even hear each other, let alone consider a point of view different from their own. But fiction writers are in the unique position of being between the two sides. We don’t argue—we present a story. A story of a person who may or may not be like the reader in their views, in their lives. This character takes a journey, and the reader goes with them. The reader learns what the character learns. The reader gets to see a different perspective without being berated or told they are wrong. The reader gets to see what life is like for a person or community they have no experience with. They are presented with information, then left to make up their own minds about what to do with that information. There are studies that show fiction readers grow in empathy the more they read. In other words, reading opens readers’ minds and hearts to people and ideas outside themselves. Perhaps one writer will change the world. Perhaps it will be our collective voices that change the future. But one thing is certain: we all have something to say that people need to hear. We have a reason for writing. We have a purpose. We are the voices in the wilderness. I normally don’t get writer’s block. If one story isn’t humming, I’ll jump to another until my subconscious has time to sort out the mess going on in story #1. So I’m a bit surprised at my current situation. My WIP was rolling along fine in first draft—rough, some ugly, but words on the page—when I got to THE climactic battle scene. Forces of good and evil, all that happy stuff. And I couldn’t write it. I am a bad writer without the skills needed to write it. I am afraid to write the scene because it won’t match what’s in my head. I don’t know enough about what needs to happen in the scene. Okay, so even though I have days where I wonder why the heck I am doing this writing thing, I know I am not a bad writer. My skills are up to this task. So it’s not that. I am always afraid to write every scene, because it never does match up with what’s in my head. At least, not in first draft. That’s what revision is for. So that’s not it. Which leaves #3—I don’t know enough about the scene. Now, I outlined this entire book, so I am fully aware of what needs to happen and what the stakes are. So that part isn’t the problem. I think it comes back to my less-than-stellar world-building skills. Why? Because I know what has to happen, but am blanking on how it has to happen. I mean, we’ve got magic and spirits and stuff like that going on. Personally, I’m no good in a pillow fight, let alone a battle for the fate of the universe. So I think that’s my problem in a nutshell. The magic and power of these beings is tremendous, but I’m not precisely sure a) how to depict it and b) what the upper limits are. Can they hurl suns and planets at each other? Are their spirits indestructible? Since they are top of the food chain, is there anything/anyone below them that can stop them? Since I have plotted out the entire book, I’ve skipped writing the battle scene for now and moved forward. Since I know who wins and what the consequences are, I am able to do that. I am hoping that while I work ahead, my wonderful subconscious mind will simmer away and eventually come up with what I need. Have you ever been blocked on a certain scene, but not the rest? How did you solve your problem? I always love seeing what posts spoke to my readers each year. It is no surprise to me that 2 of the posts were about Gavin Leong, a little boy who has changed the world without ever uttering a word. I hope you enjoy all the posts here, and check out ones you might have missed. 9. What’s Your Observational Intelligence Quotient? 4. Kids’ Questions #1: Does Novel Writing Ever Get Boring? Thanks for reading, everyone! Happy New Year—I hope 2015 brings you peace and joy. Christmas has always been my favorite holiday—and not because of the presents. My husband can attest that I am impossible to buy for, because I want very little. Ever since I can remember, though, something about the Christmas season spoke to me deeply. 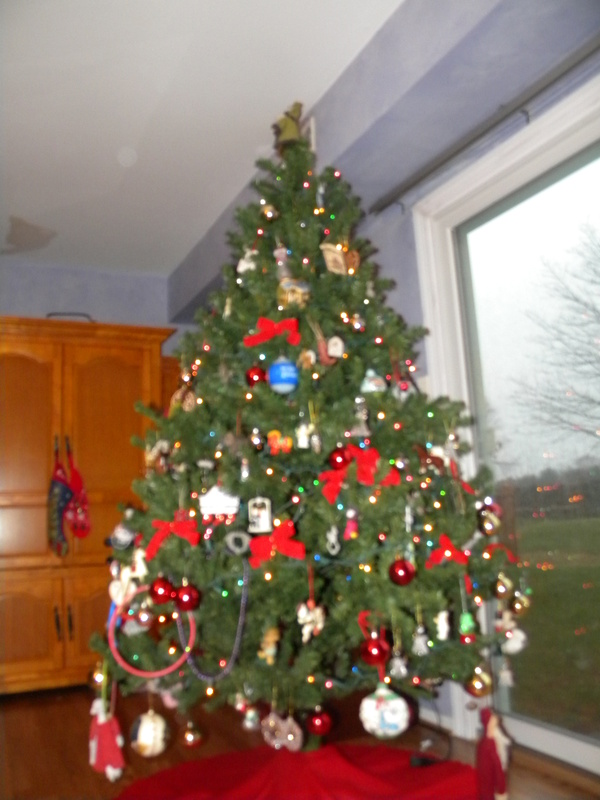 Back when my eyes were good enough to read in low light, I would cuddle up next to our Christmas tree and read books. The cold, sometimes snowy, weather fosters togetherness. Snow turns the mundane outdoors into a magical land. People seem more cheerful, and they tend to care about their fellow man more. There is peace and hope. And yet, Christmas can also be very difficult for some people. The intense social interactions of Christmas parties and family dinners can highlight people’s loneliness. Those suffering physical or mental illnesses can feel more isolated than usual. Other people’s joy can throw your own sadness or grief into high relief. And for introverted people like me, the constant company of people—even though I love spending time with family and friends—can drain my energy to the point of exhaustion and tears. In spite of my sense of peace during the holidays, I know that suffering continues for many. Bad things still happen. Poverty, theft, injury, death. Despite the Christmas light, darkness still exists for many. For me, reconciling the pain in the world with the peace promised in the season is the dichotomy of Christmas. That’s where the hope comes in. The hope that we can help make the world a better place. That next year those suffering will not be. That we will have found a way to raise humanity to a higher moral ground than this year. That the hate will be less and the love will be more. While Christmas is a Christian holiday (layered on top of a pagan holiday), you don’t have to be Christian or even religious to believe in the spirit of Christmas. We are all Santa Claus. We can all deliver goodwill toward our fellow man. Instead of getting gifts, we can all use our gifts to make this world a better place. So Merry Christmas to all of you, and may you find peace and joy on this day and every day. I can learn a lot from my preschooler. I never learned to roller skate. I always refused to let go of the wall. As a writer, I want to let go of the walls, to soar and glide. But all too often I am afraid of falling. When I fall, I feel foolish—and who likes to feel foolish? But my daughter didn’t care when she fell. She had no care for what others thought—she just got up and tried again. I need to remember that I, too, have the tenacity to keep getting up, to keep climbing upward, to keep working at my craft. Sometimes, though, I need a reminder that I can do it. I need to remember that I have learned many facets of the craft over the years, and although I have many more to learn, I am moving forward. My daughter’s attitude allowed her to be confident on her wheels, and even to glide a little by the end of the session. A little self-confidence can go a long way. It lets us try new things and not fear failure. It makes us realize that even failure is not the end of the writing dream, it’s just a detour. We just have to get back up, smooth our clothes, and push off again. Like my daughter, I may end up with some bumps and bruises, but if I can conquer the fear I can learn to soar and glide—on the page, that is. I think it’s too late for me and roller skates! Okay, today is not my birthday, but it is birthday-adjacent, so I have been thinking about birthday wishes. More precisely, I have been thinking about how birthday wishes evolve as we grow. When I was a kid, I wished for things—the latest toy, game, book. As I got older, the wishes became more about events. I wished for the arrival of elementary school graduation, my driver’s license, high school graduation, my voter’s card, college graduation, my first job. After college, things shifted again. For a long time my birthdays seemed to simply mark the passage of time, with nothing much to show for it. I began to dread birthdays, those reminders that another year had passed and I still lived at home, still worked at jobs I loved but which paid little, still had no romantic prospects, still had come no closer to my dreams. Birthdays came to represent failure and loneliness, and I usually wished that next year would be different. Life never stops changing, and eventually that phase of my life ended. I married a wonderful man. I pursued my writing dream full-time. I had a daughter who lights up my life. I have more than I need to be comfortable, and all that I need to be content. In other words, I have very little to wish for. I am incredibly lucky, and I know it. So in the past few years, I find my wishes turning toward other people. The health and happiness of my friends and family. The continued joy in my daughter’s life. Peace on Earth. A cure for cancer. An end to the back-biting politics in our country. I so wish that other people could be as happy as I am. I wish you and your loved ones health and peace. I wish you strength in times that drag you down and joy in times that lift you up. Most of all, I wish that you find the dream you seek and that it makes you happy. That is my birthday wish for you.